Download latest version of Line free. It is a free calling and messaging application for your PC desktop. Now enjoy the chatting and calling with your friends and family members from your PC. It is developed by Naver. 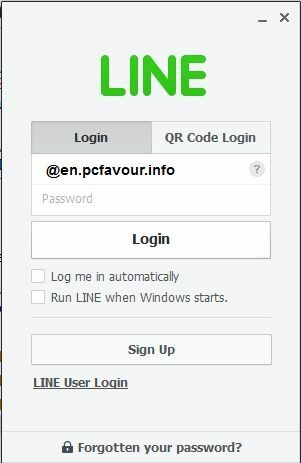 Line allows you to make calls from your PC to iPhone, Android, Windows phone and Blackberry device. Line’s interface proves this software the best one. This software is a Japanese based PC application which helps you to make free calls and messaging to all type of phone devices, other PCs and Macs. Users can also make calls and can communicate with their friends and buddies who are using PC and Macs. It doesn’t have video calling facility till now, but still you can send short length video and audio messages. Line messaging software has good call quality as well and users are happy to use it from all over the world. The one thing is necessary before using it on PC; you have to register your email on Smartphone Line app, then proceed to login on PC. Line has a lot of emoticons and it gives you the opportunity to purchase more stickers. It enhances the beauty of software and you’ll find it more fun. Line quality depends on your internet connection and your operator’s 3G network. Its ‘Sticker shop’ feature makes it the most desired app in the Japan market. If there is some kind of problem with Line then it may be problem with your internet connection. However this app is totally free but your data charges will be deducted by your operator.